This interesting yet at times fragmented documentary transports viewers 200 million years back in time to the world of gigantic marine reptiles. 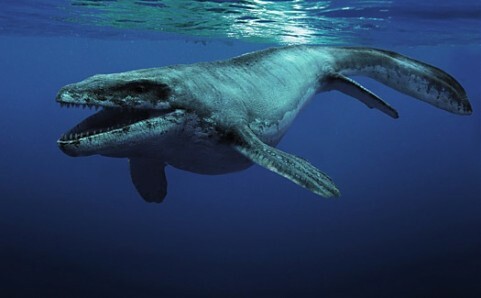 While the dinosaurs ruled the land, massive underwater creatures ruled the seas such as the Liopleurodon and the Ophthalmosaurus. These were the Rex of the ocean as the viewer is taken on an educational journey from the birth of these creatures to their death. Sea Rex: Journey to a Prehistoric World also starts like a mystery as a group of French palaeontologists attempt to identify an ancient skull in the late 1700's. Welcome to an interesting IMAX experience. 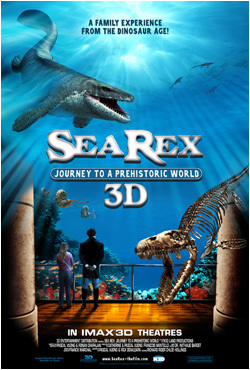 Unlike some of the more recent IMAX documentaries revolving dinosaurs, Sea Rex: Journey to a Prehistoric World targets the younger audience as we follow Julie (Chloe Hollings), a young woman filled with imagination and wonder as she is joined by the "ghost" of Georges Cuvier (Richard Rider), the father of palaeontology. 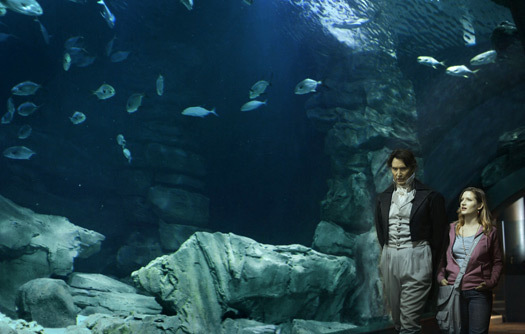 Cuvier is the scientific face of this documentary who explains the various stages of when dinosaurs ruled the Earth, more specifically the Triassic, Jurassic and Cretaceous periods, explaining the evolution of these ancient marine reptiles and even where mankind fits into the big picture. Although the content is quite understandable and interesting, the presentation of Sea Rex seems a little too disjointed as it swaps and changes between time periods and content. To compound this situation, the CGI seems a little dated, especially when compared to the recently released Flying Monsters 3D at IMAX. Nonetheless, kids will enjoy this presentation, especially the strong use of the 3D which does look quite spectacular at times, especially seeing the giant fish-like Shonisaurus or the Dakosaurus, an ancient relative of the crocodile. However for those mature movie goers, Sea Rex: Journey to a Prehistoric World is a little on the basic side and some (myself included) will find the disjointed presentation a little annoying.